God made great promises to the Children of Israel in the Torah which were contingent upon the Israelites obeying “these rules”, “loving the Lord your God, walking in all His ways.” But it can become very confusing about how or if that has any sort of impact on Christians or what it even means for Jewish people today? What does it mean to “hold fast” or to “cleave” to God, and what does that have to do with Torah? What does it mean “to cleave to the Almighty”? The Almighty has no body or corporeality to hold on to. Rabbi Meir Simcha HaCohen comments that this verse is the commandment to trust in the Almighty. Cleaving, clinging to the Almighty means that we trust in him like a king’s son who relies on his father. His father loves him and, being a king, has the ability to supply him with all his needs. This is our relationship with the Almighty. He is our King and our Father. We must make our efforts, but understand that success is ultimately a gift from the Almighty. Cleaving to the Almighty means living with this awareness. The immediate benefit to a person who internalizes this attribute is an inner feeling of peace and serenity. According to the commentary by Rabbi Shlomo Katz at Torah.org, it would be impossible to literally cling to God, who is an all-consuming fire. The sages say one “clings” to the Almighty through Torah study and performance of the mitzvot. In the Siddur, the phrase “You who cling to HaShem, your G-d, you are all alive today” is part of the Torah service, thus clinging to God and the reading, studying and performance of Torah are associated if not equivalent acts. This could sound very attractive to some Christians. After all, why wouldn’t we want to “cling” to God? What do we have to do? Read, study, and observe the Torah? Cool? How do we do that? Several days ago on his blog, Derek Leman wrote an article called Torah and Non-Jews: A Practical Primer. It might have better been called “What Does Torah Mean to Jews and What Should Christians Do About It”. I’ve long since set aside my illusions that I have to look and act “pseudo-Jewish” in order to obey God’s will for my life, but over the past several months, I have been attempting to defend Jewish Torah observance, especially among Messianic Jews, in conversations with my Pastor. However, one of the sticking points is trying to define just what “Torah” is. Of course I wrote a blog series on the purpose of Torah for Messianic Jews, but it never quite satisfied me as a unified and complete answer to Pastor’s query. There are a lot of differences and categories we could note in the commandments in the Torah. First, there are positive (“remember the Sabbath,” “you shall love”) and negative (“you may not eat,” “you shall not”) commands. Second, since Torah is an actual constitution for people living in the Iron Age in the ancient Middle East, it has criminal and societal laws which cannot be applied directly. It assumes a theocracy with the actual Presence of God guiding the king and priests. Do not think that stoning people is part of Torah practice now! Third, it permits some things from ancient culture which are no longer permitted (owning a slave, taking a war bride, practicing blood vengeance). Fourth, it contains some things which are the highest expressions of love, justice, and faithfulness. The concern in Torah for the defenseless and needy, the insistence on truth in justice for the powerful and powerless, the provisions of generosity, these things are the height of Torah. This list is not as detailed as it could be, but the point is, Torah requires long, habitual, careful study. That isn’t exactly an “in a nutshell” lesson on Torah, but it does communicate the level of complexity for someone approaching Torah with the intension of becoming “Torah-compliant” or “Torah-observant” or “Torah-submissive.” However, the upshot of Leman’s article is that it takes a lifetime of study to approach and refine one’s understanding and observance of Torah. 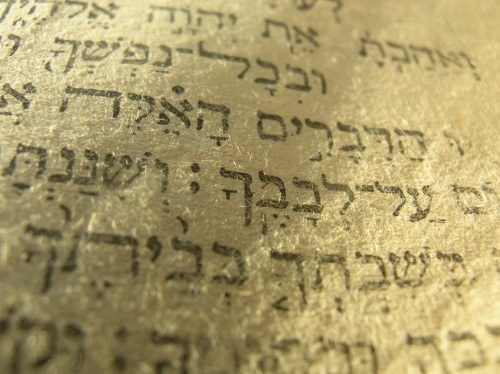 It is true that, for practical purposes, observant Jews operate in a set daily pattern relative to their responsibilities to the mitzvot, but it’s also true that with continuing study and understanding, that observance evolves and deepens, not only on the level of behavior and cognition, but particularly (ideally) in devotion to God. Remember, we are discussing the relationship between Torah and “cleaving” to God. Most people would comprehend why an observant Jewish person would study the Torah in order to understand and perform the mitzvot in the appropriate manner, but Christians may not be aware that we need to study and understand Torah as well. But, why? Even if you don’t believe that Christ’s grace replaced the Torah for the Jews, most Christians believe the Law has nothing to do with them. Torah observance isn’t required for salvation for Gentile or Jew, but from a Jewish point of view, the Torah defines the identity and lifestyle of the descendants of those who stood at Sinai and “as one man” who agreed to do all that Hashem their God commanded. If you are not Jewish, God was not speaking directly to you when he gave Torah. Read Exodus 19. You can learn about God, about holiness, about love and the ways of God for people to live in the Torah. But it requires translating and interpreting it from one context (Israel’s constitution) to another (how you, as a Messiah-follower, should live your life). Even for the Jewish people translation and interpretation is required from one context (Israel in the Iron Age when it was a theocracy with God present in the sanctuary) to another (Israel in the long exile without the direct Presence of God in the sanctuary). Look to Torah as a late arrival at the party. Israel is already there and you are a guest. What can you learn from God’s instructions to this people? What in these instructions and teachings apply to you as someone outside of the specific group? The truth is, most of what is here has meaning for you, but interpretation and integration of multiple ideas will be required. In a very real way, the Torah is Israel’s story, even as the Gospel message of Messiah is the story of good news to Israel, but it doesn’t mean the rest of us aren’t involved. I wrote extensively on this topic in a multi-part series called Return to Jerusalem, which is an analysis of Acts 15 based on the commentaries of D. Thomas Lancaster in the Torah Club, Vol. 6: Chronicles of the Apostles. For Christians, Torah study is exceptionally important because Torah does apply to us, but it doesn’t apply in a manner identical to the Jewish people. 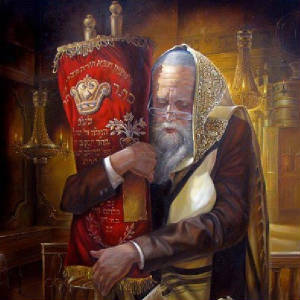 We can’t simply put on a tallit gadol, avoid bacon and shellfish, and call ourselves “Torah-submissive kosher.” If it requires a lifetime of study for a Jewish person to live out the Torah and to draw closer and to cling to God, it should require the same for Christians. There is a community that has been studying Torah for millennia. Many Torah-keeping non-Jews retain from their church life a prejudice against things Jewish. The rabbis don’t believe in Jesus, so they must not know anything! Never mind that God promised his Spirit would never depart from Israel (Isa 59:21). Never mind that God established in Israel judges and priests to know the Torah and teach it (Deut 17:8-13) and that the rabbis have come to occupy that place during the two-thousand year exile. Studying what Judaism teaches about the Torah is not easy. FFOZ (First Fruits of Zion) makes it easy through their Torah Club volumes. If you really want to know Torah and how to practice it, Torah Club Volume 5 is for you. Meanwhile, you cannot keep Torah and ignore what Jewish tradition says about it. Torah study for Christians is Bible study, but it’s Bible study from a perspective that rejects supersessionism, anti-Judaism, and anti-Israel mindsets. As Leman says, you cannot divorce the Torah (or the Bible as a whole) from Israel and Judaism since the Bible is specifically the story of God’s involvement with Israel (with applications for the rest of us). Gentile Christians have gotten all too comfortable thinking the Gospel message is “all about us because we have Jesus,” but “Jesus” is Yeshua, the Messiah God sent to redeem first and foremost Israel and also the nations of the world. We can no longer afford to be arrogant lest Messiah humble us severely upon his return. “Moreover the Lord your God will circumcise your heart and the heart of your descendants, to love the Lord your God with all your heart and with all your soul, so that you may live. The Lord your God will inflict all these curses on your enemies and on those who hate you, who persecuted you. And you shall again obey the Lord, and observe all His commandments which I command you today. Then the Lord your God will prosper you abundantly in all the work of your hand, in the offspring of your body and in the offspring of your cattle and in the produce of your ground, for the Lord will again rejoice over you for good, just as He rejoiced over your fathers; if you obey the Lord your God to keep His commandments and His statutes which are written in this book of the law, if you turn to the Lord your God with all your heart and soul. I could do a study just on these verses as far as how the words of Moses apply to the restoration of future Israel, the New Covenant for Israel, and the accessibility of Torah for the Jewish people, including how God completely and honestly intended Israel to observe the commandments. He didn’t just give the Torah to Israel to prove a point about how hard it is to obey God and then pull a bait and switch, inserting Jesus and grace in its stead. If God had annulled the Torah, then not only would He have eliminated everything that Jesus taught, but He would have destroyed any possible access to God for the Gentiles, since it is through the promises God made to Abraham about Messiah, which are contained in Torah, that the Gentiles are saved at all. Yes, Christians. Study the Torah. Learn. Comprehend. Obey as the mitzvot apply to you. Live out the Word and Will of God. Just don’t assume that it’s easy. Please believe that it will take the rest of your life to even scratch the surface. Start one day at a time. Start now. 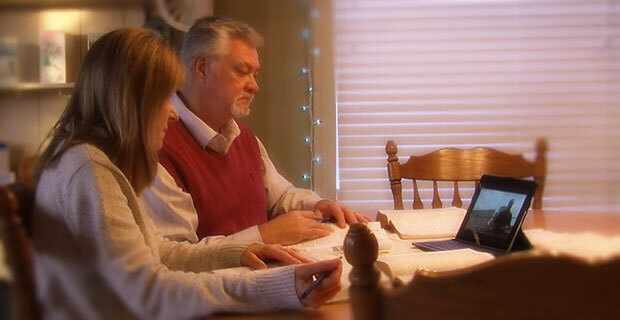 If you’re a Christian who is at all interested in the Torah and how it applies to a life of faith in Jesus (and believe me, a lot of it applies), you can also read Torah Study for Christians to get an introduction and find a starting point on your path. What perfect timing for this Meditation! I think, well at least for me , the hardest part of this walk of faith is trying to relay Christians how I see the Torah so differently than they see it. I came home from Bible Study and cried my heart out to HaShem because I came to realize that most Christians are as blind as they say Jewish people are. They view the Torah as some awful , useless set of rules. Isn’t this the very Torah that Sha’ul writes to Timothy about and tells him it is G-D breathed, valuable for teaching the truth, convicting of sin, correcting faults and training in right living? You have put this together in such a wonderful way to show why a Jewish follower of Messiah would hold dear the Words G-D spoke to Israel. I am going to print this out for each of the women, maybe it will peel back a corner of the blindfold. Thanks for the kind words, Deborah. I think we all have inherit blind spots in our understanding of God and the Bible, which is why we must not only study, but challenge our own preconceptions about what we’ve been taught. It is said that when Messiah returns, he will teach Torah and teach it perfectly. Until then, we will all struggle as best we can and hopefully, learn from the Bible and from each other.